According to VWO, testimonials can boost conversions by 34%... So why aren't you using them? You’re almost done writing your sales page. 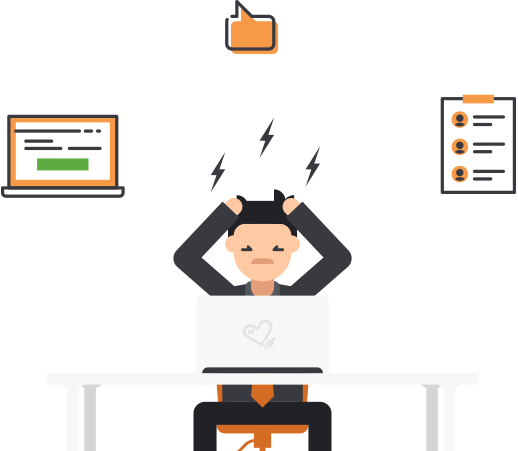 You spent hours writing a headline, addressing pain points and crafting the perfect offer. the last thing to do is... add testimonials. Of course, you do not have product-specific testimonials yet, but you remember Sally's email. A few months ago, she sent a message with a lot of praise about how working with you helped to achieve her goal. You decide to dig up that email and copy Sally’s words. While reading the email, you start to wonder. Does she want to be showcased publicly on my website? You hesitate, should you send a message and ask her? That feels a bit off, several months after she send you this email. And even if you did, should you then also ask her for a photo? Or should you wait until she accepts and ask later? While searching for a different solution, a light bulb goes off. I'll use comments people left on my blog, you think. You bypass the “privacy” problem and might even have their picture already. Off you go, screening your WordPress comments. One hour later, you’re discouraged. You found some comments saying “Great stuff” and “Love your work” but these wouldn’t even convince your mum to buy from you. Let’s just publish that sales page, you say to yourself, I’ll add the testimonials later. Before using Thrive Ovation, I tried to have my testimonials in sheets in different places, quite a bit of mess, and not always easy to manage. This resulted in not using them as well as I could have.  What I love most about Thrive Ovation is the ability to have testimonials organized in one spot and with the tags for what they are about as I sell a lot of different courses and services. What Happened in '95 That Changed Online Buying Forever? Let me ask you something. What was the first thing you did last time you bought online. Did you look at the reviews? Read the testimonials? I bet you did, we all do. In 1995 Amazon introduced public product reviews and everybody thought they were committing suicide. Today, we can not even imagine buying online without knowing what others are saying. If you’ve ever looked at a sales page, clicked away, came back the next day, read more of the copy before clicking on the buy button, you know anxiety kicks in when you’re thinking about parting with your money. Does this product work? Is it worth the price? Will it work in my industry? Is it worth my time? Is this a scam? Testimonials have the power to ease that anxiety and close the sale. They provide the social proof you need: You’re not the first one buying. And they can answer the most important question: “Will this work in my particular situation”. Imagine you’re a stay at home mum and you’re looking to buy an ecourse on web design. You read the sales page and the program seems solid. The price is a real investment and you’re worried you won't have enough time to go through the whole program. As a stay at home mum, I hesitated to buy this online course. $997 is a lot of money I’m investing in myself instead of my family and I had to ask David, my husband, if he was okay with it. I'm so happy he agreed! I studied every day during my daughter's nap-time and within weeks, I landed my first client. He paid me $1,999 to design his restaurant's website. This not only paid back for the entire course, but also allowed me to pay for a romantic weekend with David! I can honestly say: this online course changed my life and the life of my family for the better. That’s when it clicks: If Lisa can do it, so can you! You hit the buy button and pay the $997 without hesitation. The sales page copy showed the ecourse was solid, the testimonial got you to take out your credit card. How Can I Get Conversion Boosting Testimonials? By now, I'm sure you understand how powerful testimonials are for your business. They are almost guaranteed to boost conversions. But still, gathering and managing testimonials is like flossing your teeth. You know you should be doing it, but you’re not because it’s a real hassle. Before using Thrive Ovation I didn't even think about capturing testimonials deliberately. I just waited for testimonials to come in sporadically. You could wait until the last moment, when you're finishing your sales page, and hope that at that moment you'll magically find a great testimonial to insert. You probably won't and you'll end up without any testimonials on your website. So what's a better solution? This is probably what you're doing right now. When somebody leaves you a raving comment on your fan page, your blog or through email, you copy-paste the message or take a screenshot and save it in your Testimonials folder. This way you're sure not to lose any, right? Before Thrive Ovation collating my testimonials was a hot mess of an exercise. Everything from screen shots, to spreadsheets to Dropbox folders have been put together in order to manage the testimonial systems for our business in a more effective way. How will you find the best one? If you've been consistent about this (congratulations! ), you'll have a folder full of random testimonials about different offers and aspects of your business. Reading all of them and picking the best one will be time consuming. And when you finally find a good fit, how will you display it? Screenshots look horrible on a sales page and become unreadable on mobile devices and copying the message into a presentable format will take you a lot of time. Not to mention that you'll probably be missing elements such as the full name, photo and website to make your testimonials look credible. You should set up a system that gathers testimonials (almost) on autopilot and that allows you to have a Rolodex with ready to insert testimonials whenever and wherever you need them. And that's exactly what Thrive Ovation will do for you. But What If I'm Just Starting Out? Ask any seasoned business owner if they would have loved starting gathering testimonials from the get-go. The answer will always be: YES, I wished I had. You’re lucky, you have the possibility to avoid this mistake! But What If I'm Not Selling Online (Yet)? This means they will boost sales, but they will also boost sign-ups if you put them on an opt-in form or a landing page. They will help you build trust even before selling online. At Thrive Themes, we're always looking for the best way to help online businesses boost conversions. That's why we created Thrive Ovation. 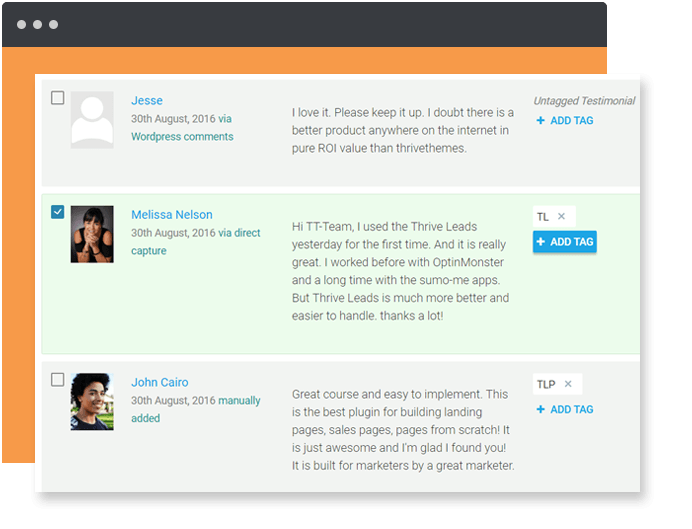 Thrive Ovation is an all-in-one testimonial management plugin for WordPress. It allows any business, no matter the size or stage, to tap into the power of testimonials. 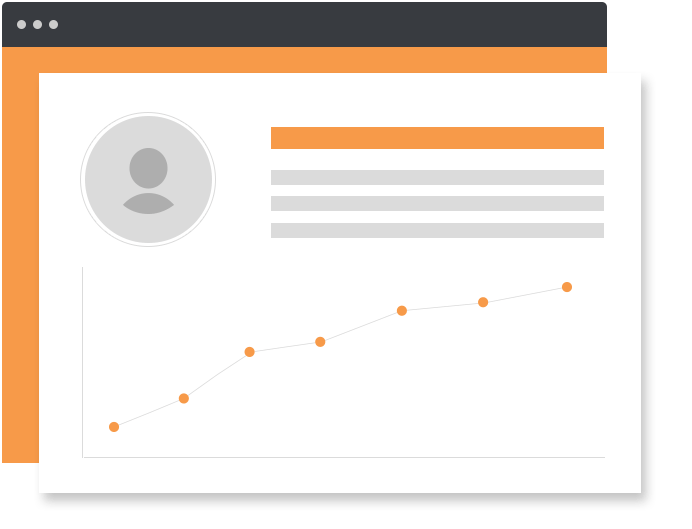 You'll be able to gather and manage testimonials from within your website. And display them with the click of a button. Get a library filled with ready-to-insert testimonials you can choose from when needed. 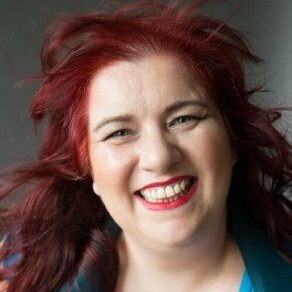 Find a WordPress comment you could use as a testimonial? Don't even think about copy-pasting it! Save it into your testimonial library with the click of a button. 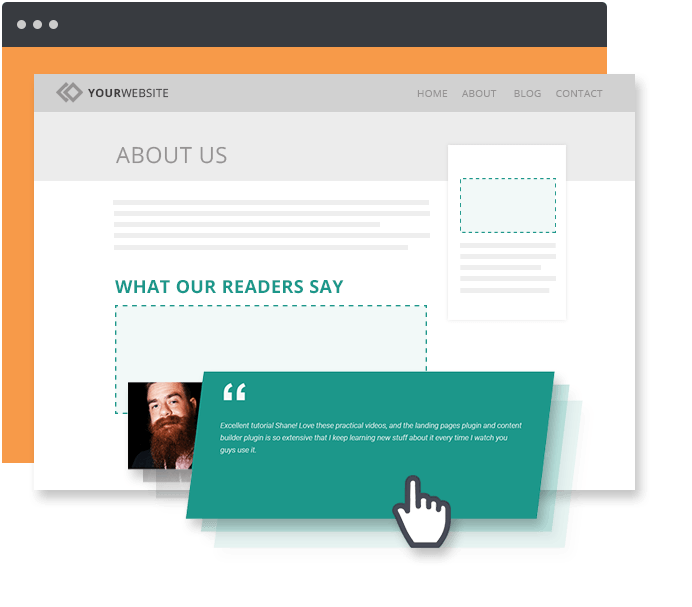 Thrive Ovation will automatically grab all the important information such as the name and the picture and the WordPress comment is now available to insert as a testimonial on your sales pages and more. Your clients are already leaving raving comments on social media. 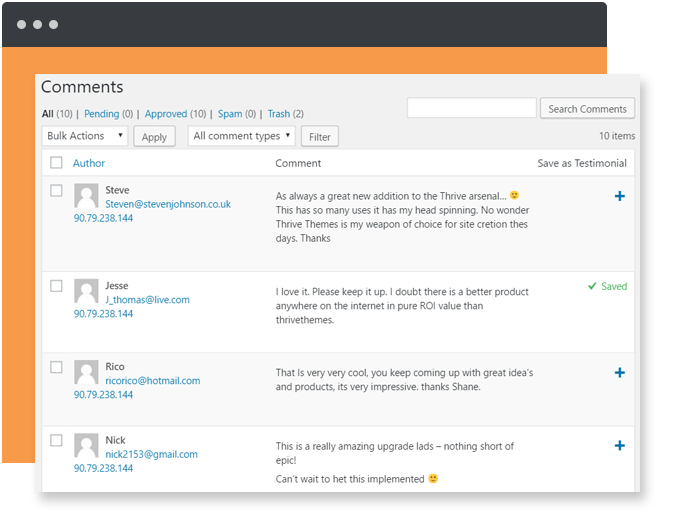 Now you can transform those comments into ready-to-insert testimonials. 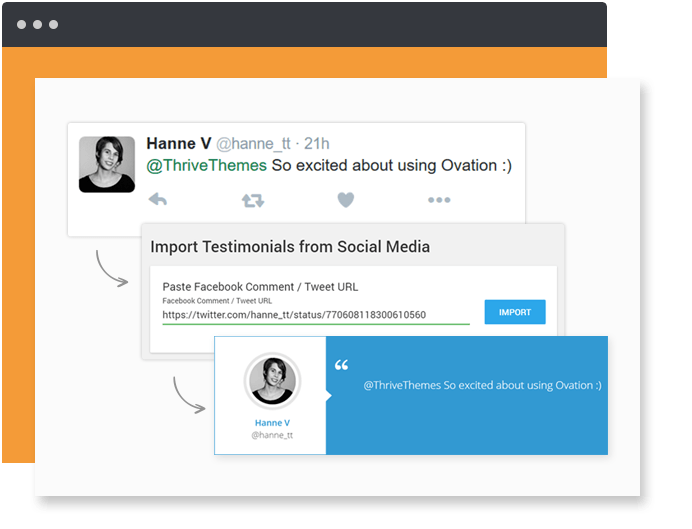 Thrive Ovation integrates with Facebook and Twitter to grab the comment and import it into your testimonial Rolodex. You'll finally be able to leverage those social media mentions on your own website without using ugly screenshots. We know asking for testimonials is a painful process and if you have to think about it, it simply won't happen. 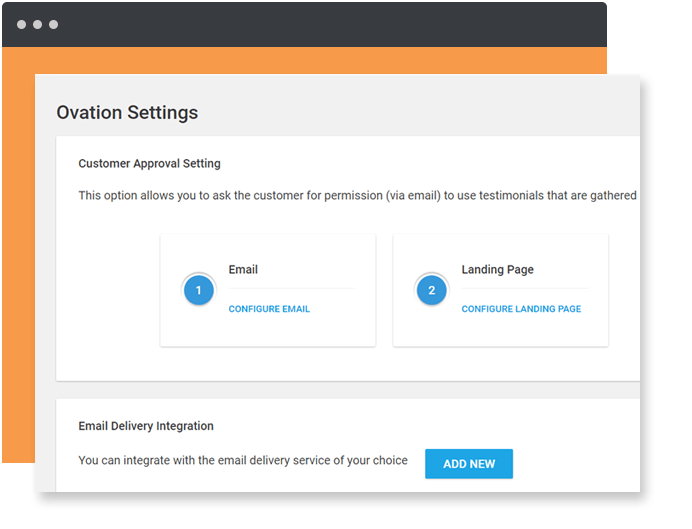 In Thrive Ovation you can automate the complete process by creating dedicated testimonial gathering landing pages, blog posts or opt-in forms. Now, you're able to send an automated message to your customers to ask for feedback and never think about "testimonial gathering" ever again. Although we have thousands of happy customers and clients, gathering testimonials has always been a challenge for us because most people just don't now how to leave a solid benefit-focused testimonial. 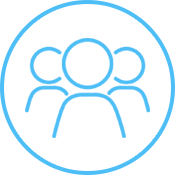 Ovation simplifies the process, allowing for the collection (and display) of more relevant and meaningful testimonials that convey the specific benefits of your offer, without the typical back and forth coaching and prompting. Never misplace or forget about a testimonial again. In the Thrive Ovation dashboard you get a perfect overview. User-submitted, WordPress comments, social media and imported testimonials are all managed in one testimonial library. But that's not all, in the blink of an eye you can see which testimonials are ready for display, waiting for approval or review, have been rejected or are missing a photo. ​A flexible tagging system is included in Thrive Ovation. Adding tags to your testimonials allows you to easily filter and find the one that fits your needs in seconds. Relevancy is key to harnessing the full potential of testimonials. Tags can be added automatically to the user-submitted testimonials or manually to the imported ones. Before displaying certain testimonials you want to make sure you have the right to use them. 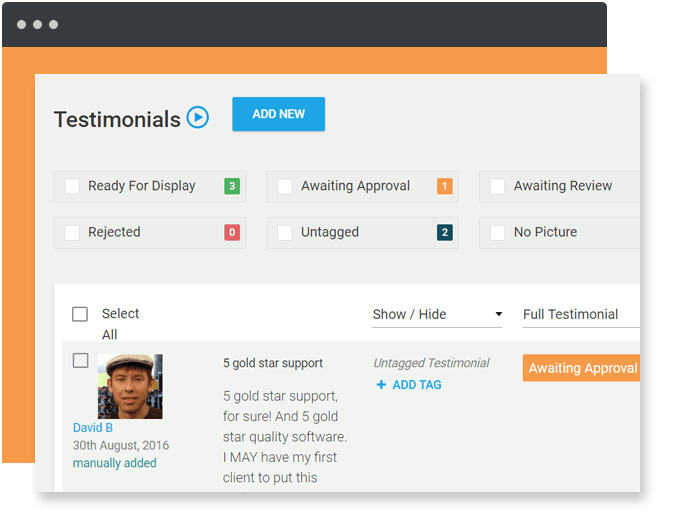 Thrive Ovation allows you to send an approval email from within your WordPress dashboard and will keep your testimonial in “Awaiting Approval state” until accepted. This will help you to keep everything legal and client friendly. Before Thrive Ovation, testimonial gathering was a pain! Getting people to take the trouble to leave one, and then find a photo to include, was always a challenge and led to many lost opportunities. Thrive Ovation makes it easy to get wonderful testimonials but, more than that, I have a say in how the testimonials are structured, and what is said, by asking key questions. For the person giving the testimonial, it's also easier as they don't have to think up wording that may or may not be useful to me. Thrive Themes is the only suite of themes and plugins I use now. The level of service and the continuous, innovative development of fresh, highly practical , effective and powerful tools is without parallel on WordPress. You can insert testimonials immediately through Thrive Content Builder or you can generate shortcodes. This allows you to insert your testimonials anywhere you want, on a sales page, a landing page, your about page, a dedicated testimonial page, in a blog post and even on your opt-in forms or in your sidebar. This is one of the most powerful features of Thrive Ovation. You’ll never need to think about updating testimonials again. 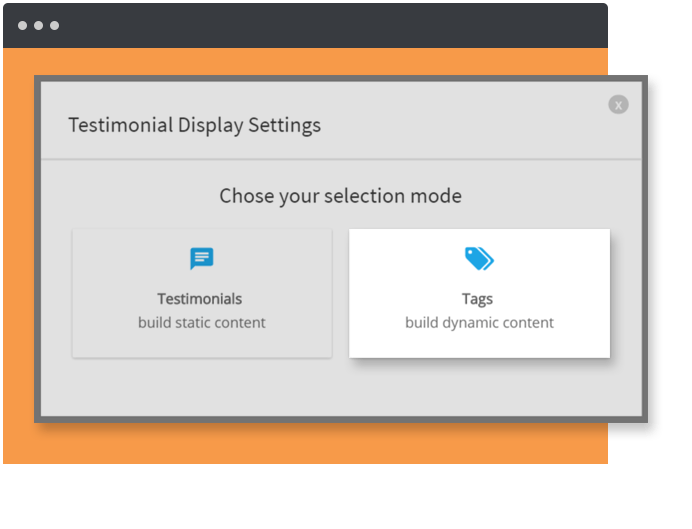 Instead of only giving you the possibility to insert static testimonials, you can use tags to choose the dynamic content you want to display. Thrive Ovation comes with a library of grids, sliders or stand alone templates. You can choose the number of testimonials to display​, the color scheme and with Thrive Content Builder you can customize every detail to fit your brand. As you can see, Thrive Ovation is not just a Testimonial display plugin. 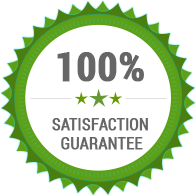 It's your one-stop-shop for everything about testimonials. Install & activate the plugin on up to 5 websites. Install & activate the plugin on one single website. We're convinced you'll love Thrive Ovation and that it will allow you to finally leverage the power of testimonials on your website. But if you're unhappy with the product for any reason, you can get a refund within 30 days. No questions asked. I’m just starting out, do I need Thrive Ovation? Are updates included with this plugin? Yes, all our plugins come with unlimited free updates and 1 year of support. Even if you do not extend the support, updates will be provided. There are tons of free testimonial plugins, why pay for Thrive Ovation? 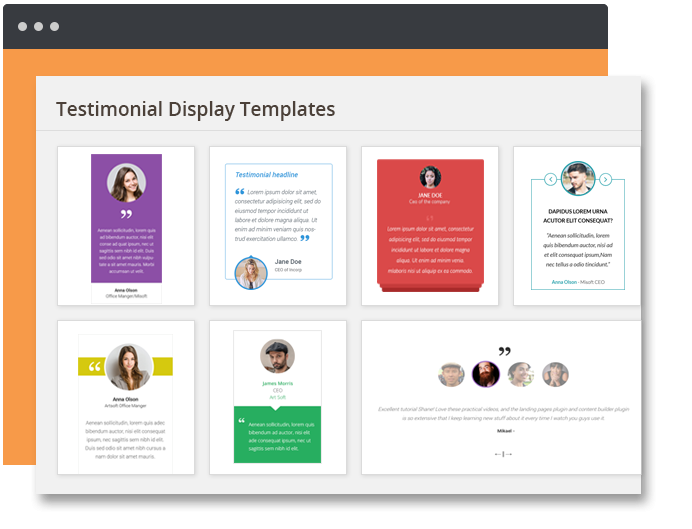 Most testimonial plugins are focused on one thing: displaying the testimonials on your website. But that doesn’t fix the real problem most business owners are facing with their testimonials. 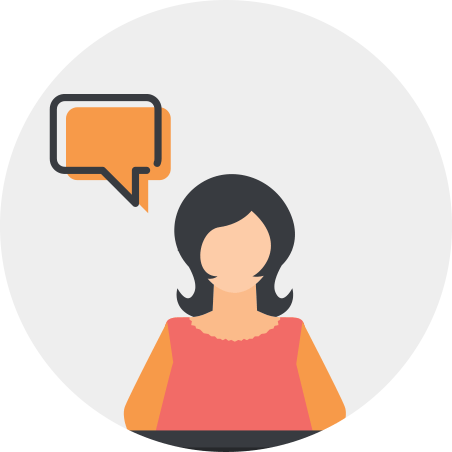 How and where should you collect testimonials? How can you keep an overview of all the testimonials you’ve got over time and easily find the one you’re looking for? How to do all this on auto-pilot? 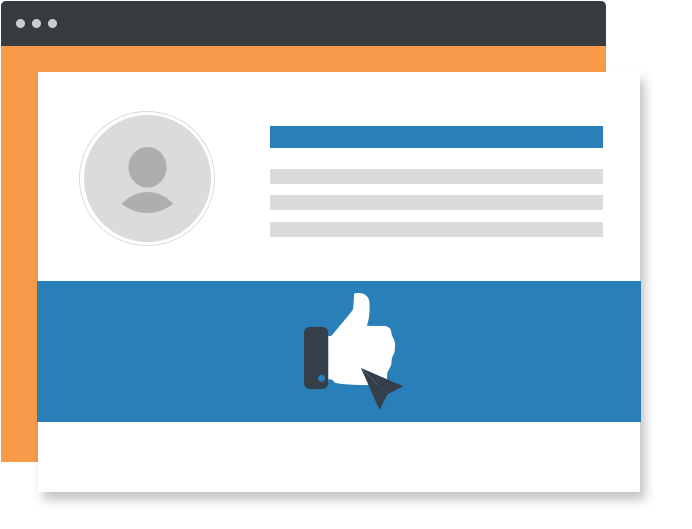 What about testimonials you get on social media? Those free plugins will display testimonials, but if you have nothing to show for why bother? For the moment I’m not selling anything yet, do I need Thrive Ovation? This means they will boost sales, but they will also boost sign-ups if you put them on an opt-in form or landing page. So yes, you should use the power of testimonials to boost your conversions, any conversions. 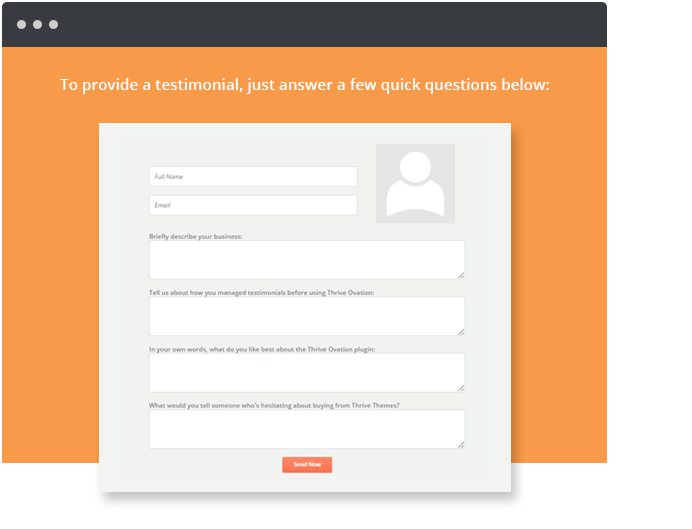 Will testimonials and Thrive Ovation boost conversions in my business? Are you dealing with humans? Then yes! Testimonials will work in your business. Thrive Ovation will help you to gather, manage and display the best testimonials at the right place. You'll never have to worry about them ever again and will be able to (finally) use them in your business to boost conversions.